Back in 2013 I got an e-mail saying hi I am Sam Sarpong. Sarpong was a co-host of MTV’s show Yo Momma, and has since gone on to serve as the host of the BET Awards pre-show All Access, for 7 years. 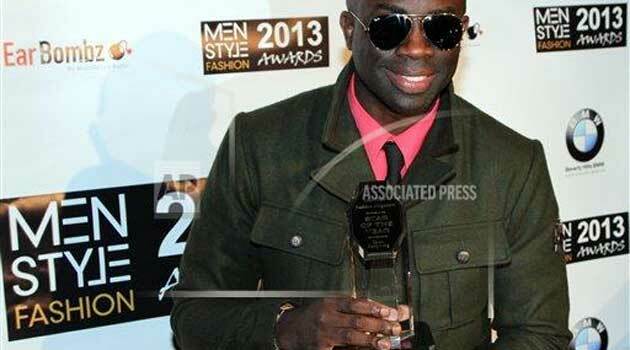 At the 2013 BET Awards, Sarpong presented the “Best International Artist” category. Sarpong starred as Paul Unanga in the film, Anchor Baby and won Best Lead Actor for this role at the 2012 New York Film Festival. He also guest starred in “Lord Of The Bling”, an episode of Veronica Mars. Sarpong was a fashion editorial magazine campaign for the brand Loius Vuitton. A recipient of the MAA Fashion Award for Male Model of the Year, and twice named by Today’s Black Woman magazine on their “Fifty Most Beautiful People” list. Sarpong was added toUs Weekly’s, “Hot 100 Young Hollywood with Style” list. Sarpong has walked the runway for designers Versace, Donna Karen, Gucci, Dolce & Gabbanna, Jean Phillppe and Ed Hardy. Sarpong has also started his own clothing brand, “Chosen One Collection,” a line of T-shirts, jeans and hoodies. Sarpong appears in the feature film No Weapons. Sarpong was signed as a costar of the film Trigger, and was scheduled to appear on the television series, Average Dad. In 2015, Sarpong was also one of the leads in the Fox pilot Studio City. Sarpong has been featured in modeling campaigns for the brand Boy London, and in the past served as the international face of the Nelson Mandela foundation clothing line. Sarpong was also a member of the Hip-Hop/Pop group the League which has released 6 albums. Sarpong recorded a solo EP, Lose My Mind which is featured on VH1’s show Hit The Floor. Sarpong is also featured on the Scary Movie 5 soundtrack with his song “Thunder”. He released a single “Lovin”. Dear Sam thank you for believing in us and we will sadly miss you and your personal style. The video below was created by Sam for us and we shall treasure it for ever.